CLALLAM BAY – Joshua grips a small yellow spatula with gloved hands and spreads a bit of thick almond paste onto a halved croissant. 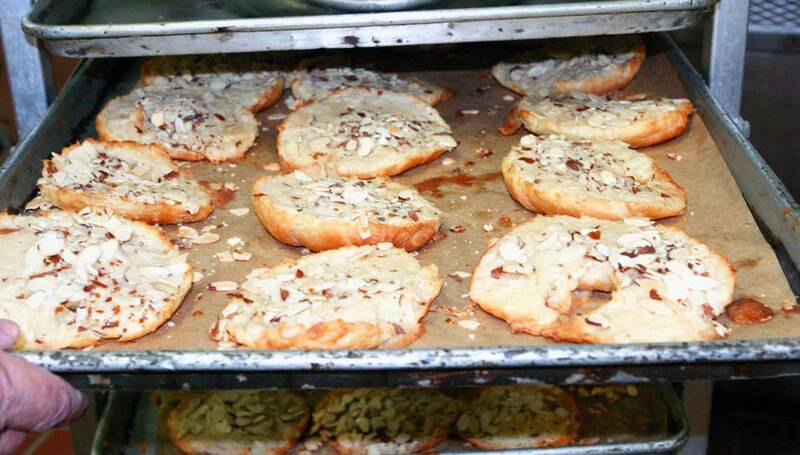 Later, he sprinkles a generous handful of slivered almonds atop the croissants before placing them into the oven. His workspace is like most other bakeries, filled with electric mixers, bags of flour and the sweet smell of pastries wafting through the halls. Except, it’s located inside a prison. 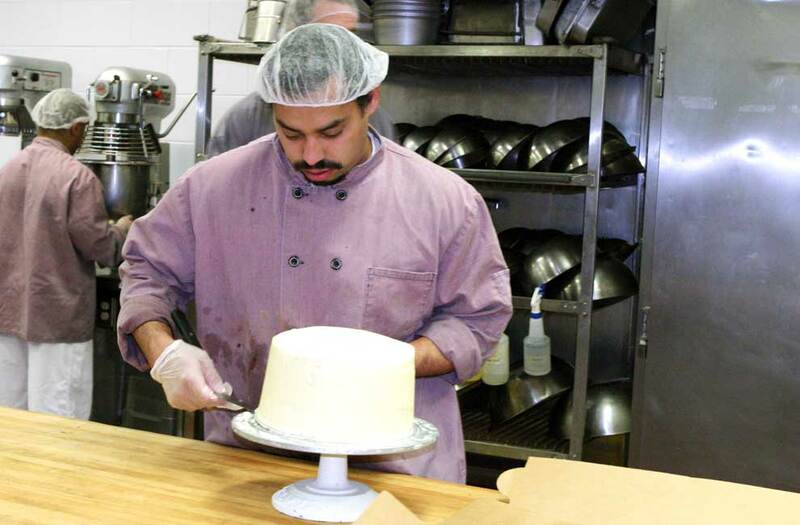 Joshua is one of ten inmates who currently bake confections four days a week for Clallam Bay Corrections Center’s (CBCC) pastry and specialty baking program. The program began at the prison in 2011 through a partnership with the Department of Corrections and Peninsula College. Students in the class learn about food safety and sanitation and culinary management. They also get the chance to specialize in techniques such as chocolate work and cake decorating. The curriculum has nine units. 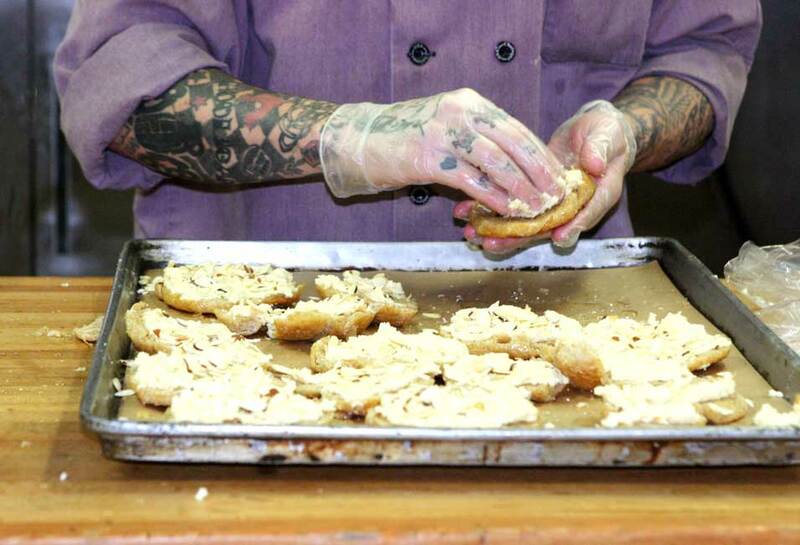 Inmates can earn baking certifications and one-year certificates. Inmates can use the certificates to gain credit toward an Associate’s degree at a community college post-release. So far, 187 inmates have participated in the program. The program has issued 52 certificates to date. In addition to learning vocational skills, inmates learn basic concepts in math, science, and chemistry. Inmates who want to be in the class undergo a screening process and must remain infraction-free for at least six months. The best part about the class is seeing people who arrived to prison with a dreary outlook on life start planning for a better future for when they leave, says instructor Dayle Lee. 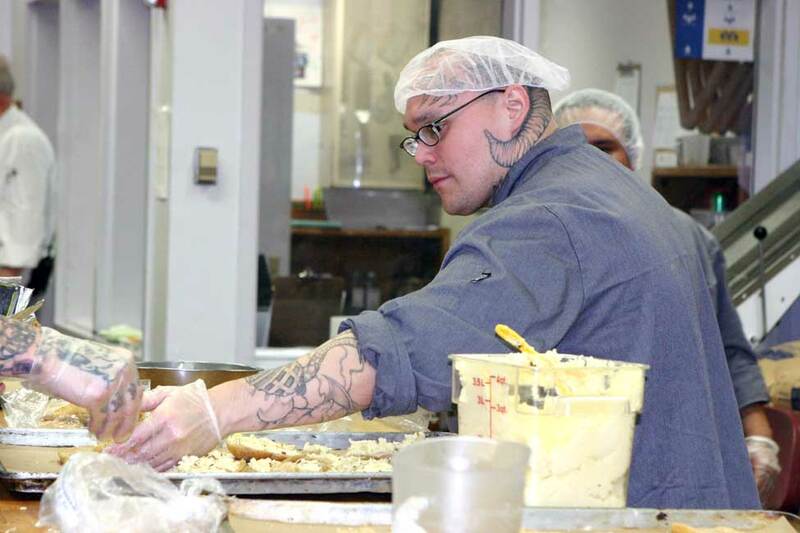 The inmates learn to make all kinds of baked goods. Pies. Cheesecakes. Loaves of bread. Cookies. Sheet cakes. Twice-baked croissants. Some of the food the inmates produce is given to local food banks, while some of it is sold at the Sunsets West Co-op. Staff also purchase the goods. The money from those sales helps pay for the cost of the program. 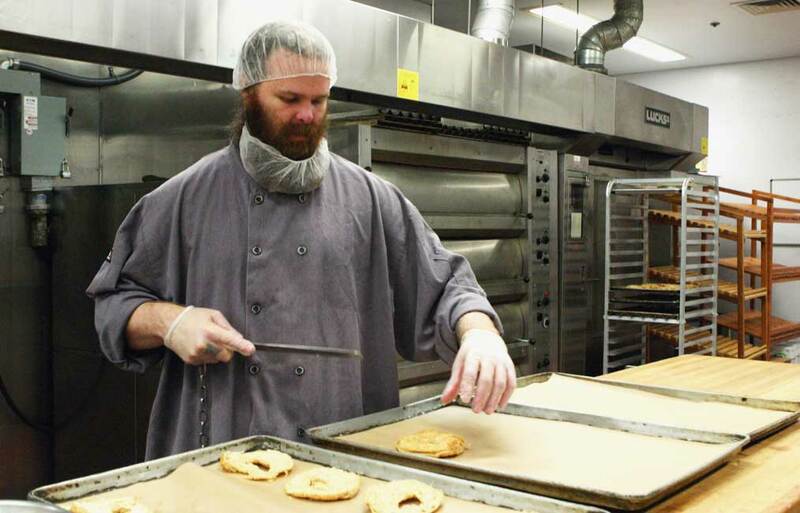 Occasionally, the facility will hold a fundraiser for local charities and allow inmates facility-wide to purchase the baked goods with the proceeds going to local non-profit organizations. Lee says several inmates who participated in the program have been able to get jobs after leaving prison. 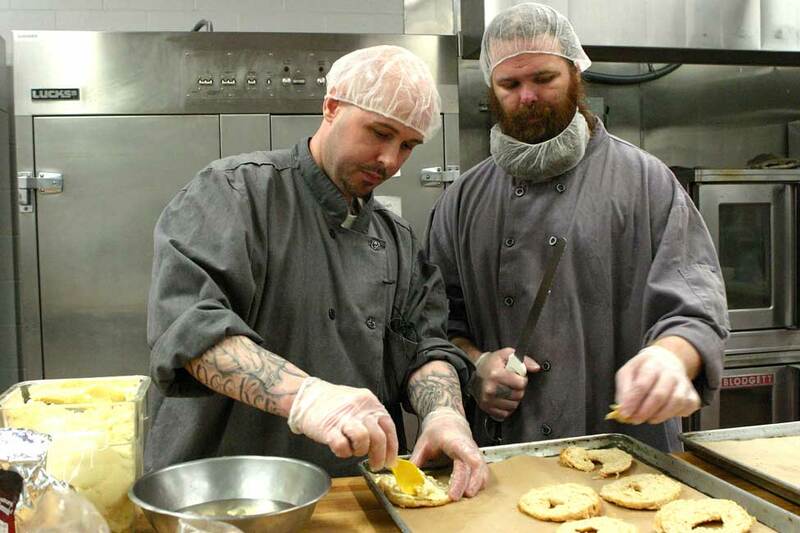 One of his recent students, who also spent time in a federal prison, now works at a bakery in Portland, Ore.
Joshua hopes the same will happen for him when he eventually gets out of prison. He has been in and out of prison since he was 19. He’s been involved with gangs and is currently serving a 77-month sentence for assault with a deadly weapon. He’s also got four kids under the age of 10 and wants to be a good role model for them. 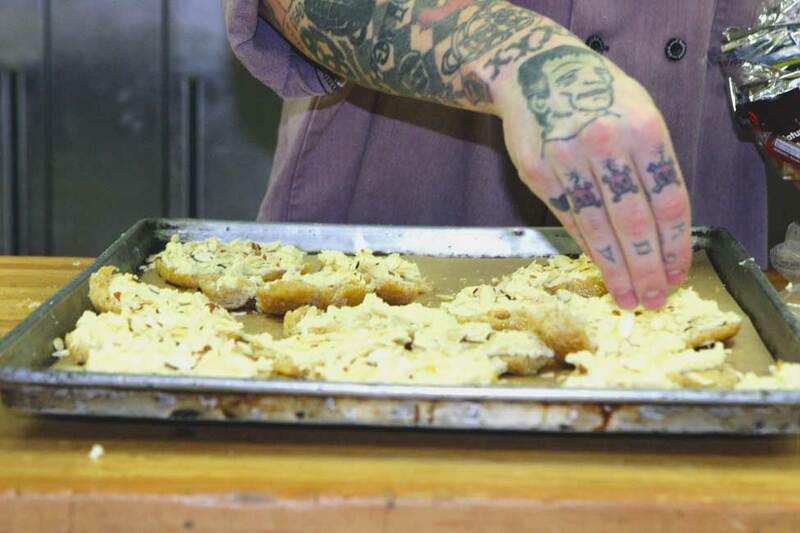 He hopes the culinary skills he’s acquired will help him finally break the cycle of incarceration.